Dublin, Ireland – May 26th, 2016 – StoryToys, a leading publisher of kids’ games, books and educational software for tablets and phones, and Warner Bros. Consumer Products, in partnership with DC Entertainment, today announced the release of a new app for iOS and Apple TV, Batman Unlimited: Gotham City’s Most Wanted. The app is a puzzle adventure and interactive book for children, with a brand new story featuring a variety of DC Super Heroes. It is now available to download from Apple’s App Store, coming soon to Google Play. Featuring content and storylines from Batman Unlimited animated shorts and made-for-video titles from Warner Bros. Home Entertainment, and inspired by WBCP and Mattel’s popular Batman Unlimited merchandise line, Batman Unlimited: Gotham City’s Most Wanted App brings new original content and immerses children in the world of Gotham City as they read or listen to the story and take part in the action, completing challenges along the way. Decision-making and problem-solving skills are put to the test in this fast-paced detective adventure featuring DC Super Heroes, including The Flash, Green Arrow, Batgirl, Cyborg, Red Robin and more. The objective is to solve a series of unusual crimes that place Nightwing, Batgirl and Red Robin under suspicion. Gathering clues as the adventure progresses, players must clear the suspects’ names and help Batman track down the mastermind behind the crimes. 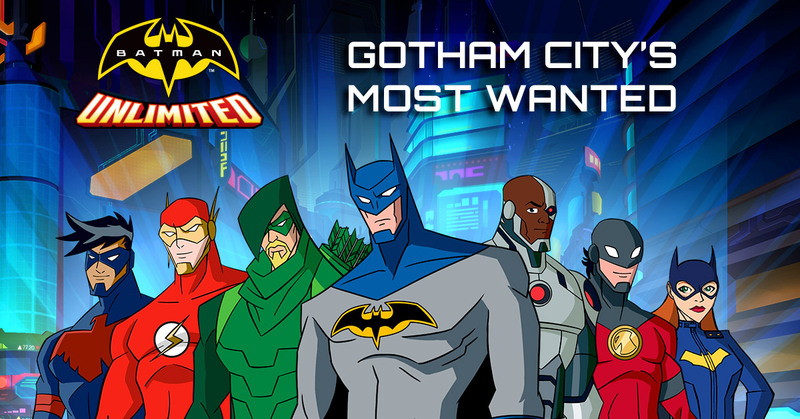 Batman Unlimited – Gotham City’s Most Wanted is now available on the App Store for iPhone, iPad and iPod Touch for $3.99 / €3.99 / £2.99. For more information, a press pack or a review code, please contact press@storytoys.com.